You are at:Home»Blog»It’s time for the Galette des Rois! It’s time for the Galette des Rois! As soon as Christmas and New Year with its abundance of food and bûches are over it is time to celebrate the Epiphany with the ‘Galette des rois’. People queue outside the boulangeries-pâtisseries to get the best galette in town and share it among friends and family to see who will win the crown! 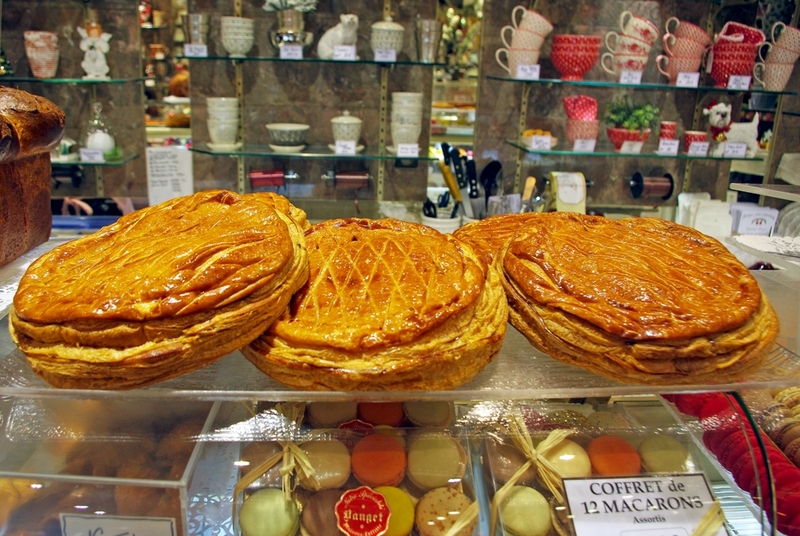 Like all the boulangeries-pâtisseries in France, Bauget in Maisons-Laffitte follows the tradition of the Epiphany by preparing various sizes of ‘Galette des rois’. The ‘Galette des rois’ is a cake made of flaky puff pastry layers and traditionally filled with a dense centre of frangipane and is sold with a paper crown. The flaky cake is eaten ceremoniously a few days before and after the 6th January. 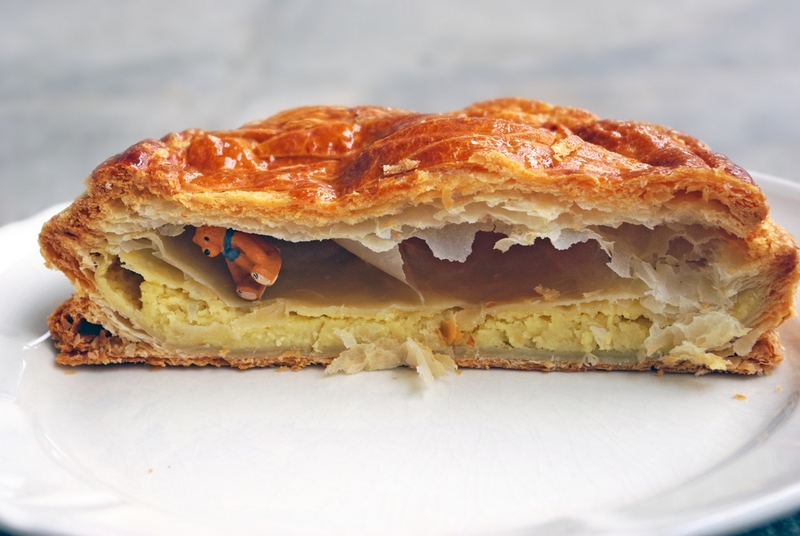 A lucky charm (‘une fêve’ ) is hidden inside and the person who finds it in their piece of the galette wins the crown and is the king or queen for the day. For French children, the galette des rois is a highlight in January. 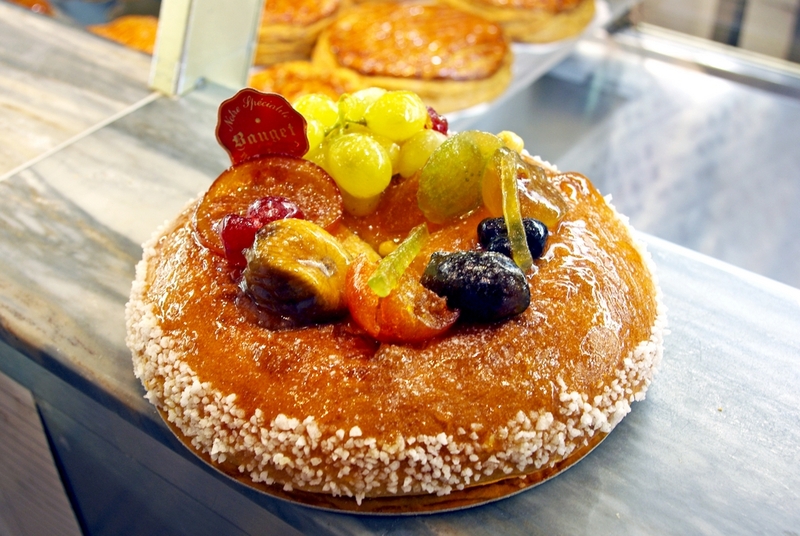 In Provence, the Galette is slightly different and takes the form of a brioche topped with glazed fruit and decorated with coarse sugar crystals. Made with orange blossom, the cake is called the ‘Brioche des rois’. 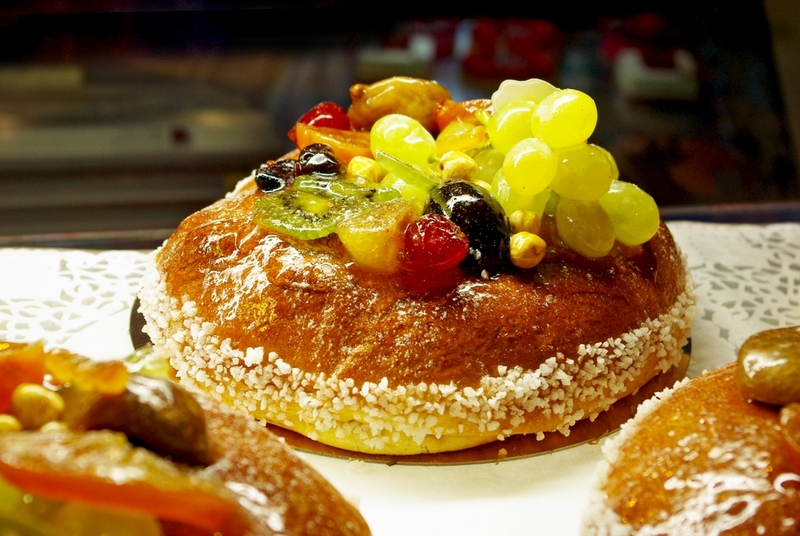 Pâtisseries in France try to outdo each other with their Epiphany galettes and/or brioches. 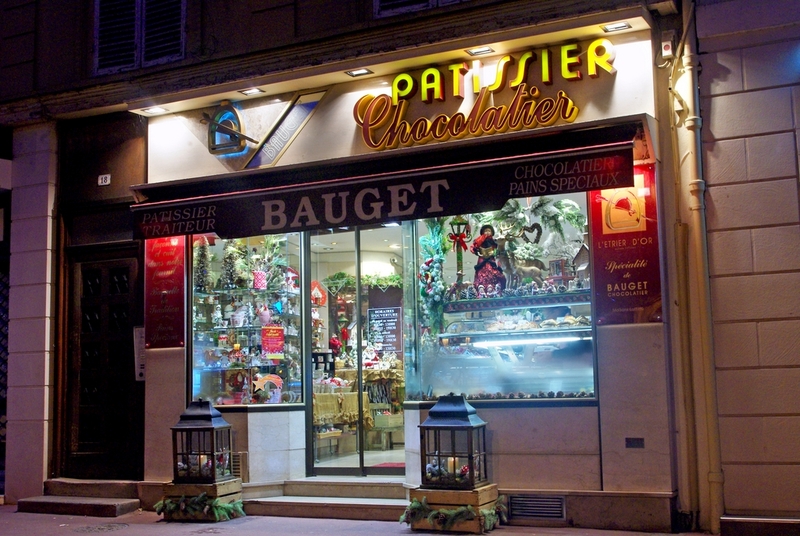 We’d like to thank Bauget in Maisons-Laffitte for allowing us to take photos of their galettes and brioche des rois. As usual they have a beautiful selection that uses the highest quality of ingredients. In France most special days are associated with eating specific things … c’est la France after all! So after the Christmas yuletide log, New Year with seafood and special things to eat, the ‘Galette des Rois’ for the Epiphany it will soon be time for crêpes for Candlemas, doughnuts and waffles for Mardi Gras then Easter …. the list goes on! As if that’s not enough there are always a huge selection of pâtisseries and viennoiseries to enjoy in-between! Bon appétit and bonne année!